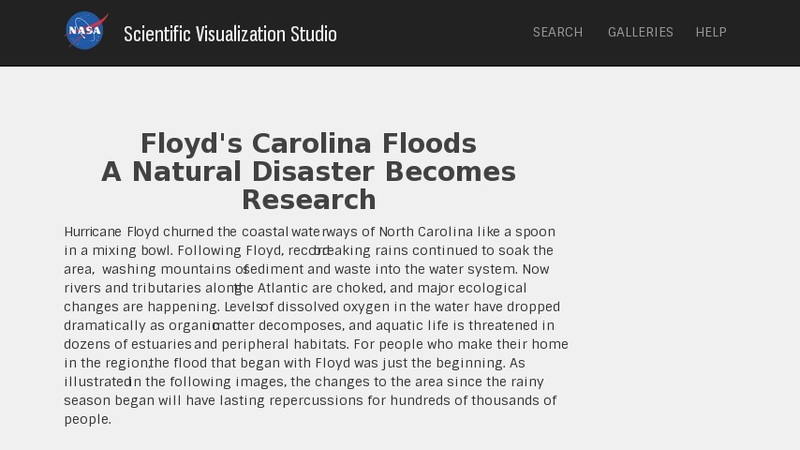 Hurricane Floyd's record rainfall in fall of l999 caused massive flooding in North Carolina; sediment and waste washed into rivers of the Atlantic causing major ecological changes. This NASA website provides Landsat 7 & SeaWiFS satellite images of the flooding and the massive flows of sediment and waste runoff into rivers and the Pamlico Sound. Also provides description of Landsat and SEAWiFS satellite functions.